Negang was just 9 months old when he was found panicked and orphaned beside the body of his dead mother. His mother, heavily pregnant with what would have soon been the baby's sibling, was shot and killed by poachers in a South African national park. Her body was found with her horn brutally hacked off. 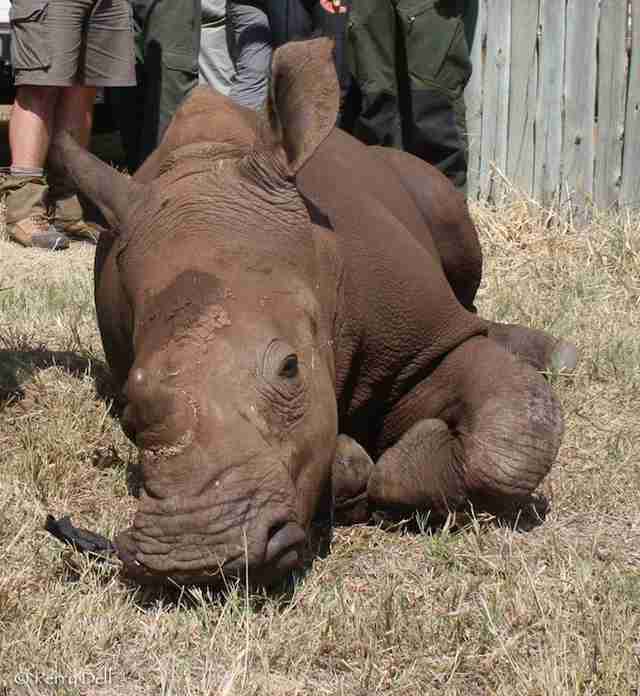 The baby rhino was left for dead. Park game rangers sheltered the baby while they figured out what was best for him. Rescuers named the baby "Nageng," which means "wilderness." Rhinos are brutally poached for their horns, which rake in a lot of cash in black markets and illegal wildlife trades. This is because some people still believe the ridiculous myths about the horn's medicinal uses. Demand for rhino horn is what led to the murder of Nageng's mother by cash-hungry poachers. Nageng was left totally alone in the world. Luckily, the rangers contacted The Rhino Orphanage, the first of its kind non-profit organization that cares for the orphaned children of killed rhinos until they are old enough to re-enter the wild. When Nageng came to The Rhino Orphanage, the staff partnered him with an older orphaned rhino named Kumba and they became best friends. The friendship also serves a purpose toward Nageng's future: Kumba's rhino guidance helps Nageng stay in touch with his wild side. The Rhino OrphanageOnce Nageng is old enough, the orphanage will release him back into the wild. By then he will be strong, independent and ready to live a free rhino's life. 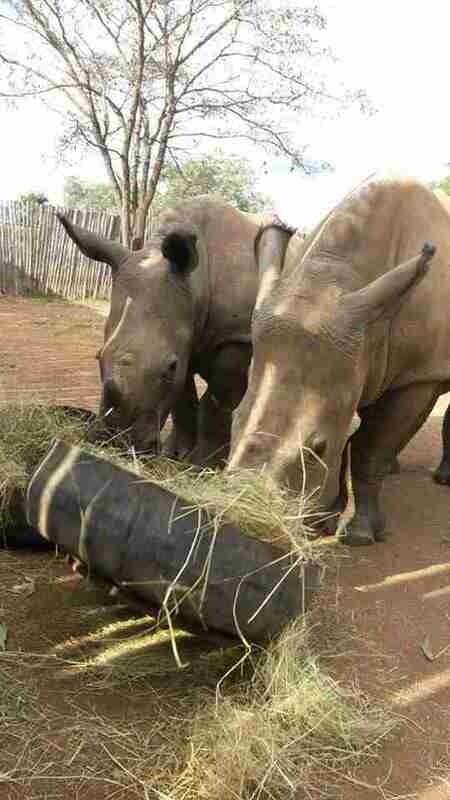 The Rhino Orphanage But for now Nageng and Kumba are enjoying their time at the orphanage, growing up together.The Rhino OrphanageAfter what they've been through, these rhinos deserve all the fun and friendship in the world. 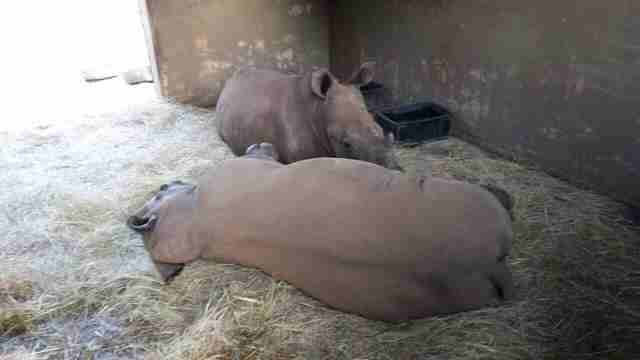 The Rhino Orphanage The Rhino Orphanage relies on public donations and volunteers. Learn how you can help rhinos here. 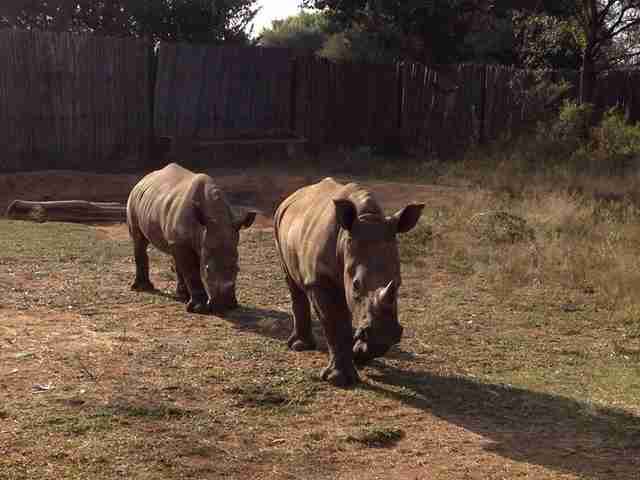 Luckily, the rangers contacted The Rhino Orphanage, the first of its kind non-profit organization that cares for the orphaned children of killed rhinos until they are old enough to re-enter the wild. When Nageng came to The Rhino Orphanage, the staff partnered him with an older orphaned rhino named Kumba and they became best friends. The friendship also serves a purpose toward Nageng's future: Kumba's rhino guidance helps Nageng stay in touch with his wild side. Once Nageng is old enough, the orphanage will release him back into the wild. By then he will be strong, independent and ready to live a free rhino's life. 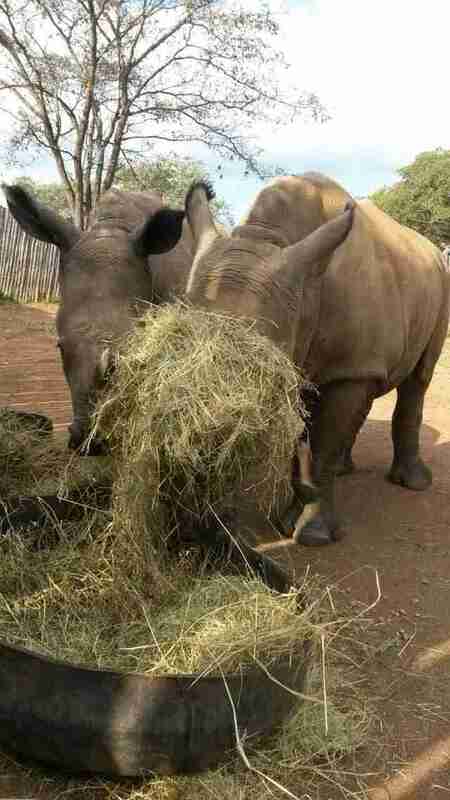 But for now Nageng and Kumba are enjoying their time at the orphanage, growing up together. 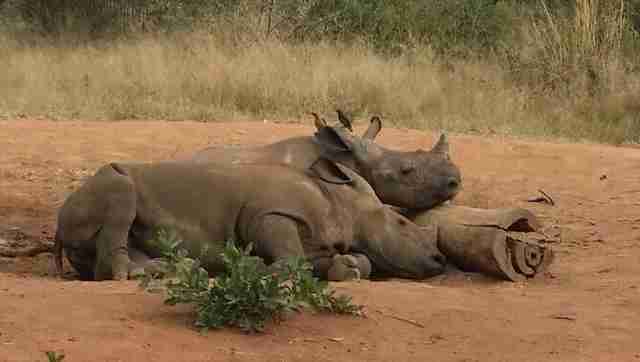 After what they've been through, these rhinos deserve all the fun and friendship in the world. 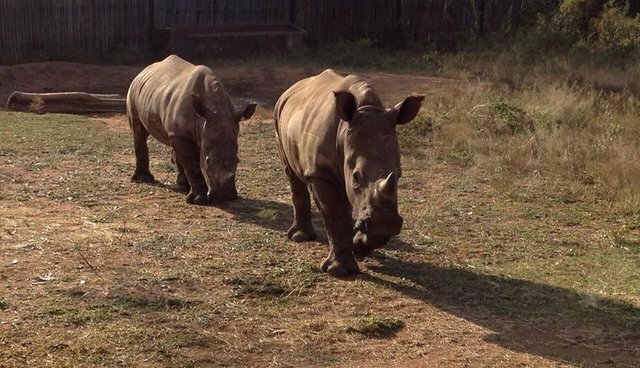 The Rhino Orphanage relies on public donations and volunteers. Learn how you can help rhinos here.